Each card in the deck has a unique pictograph (symbol) I painted while in an meditative state. Each symbol is associated with a message intended to act as a awareness awakener to improve your life and the life of communities. The deck comes with directions and with a hand-made bag (string and/or bead may differ from picture). 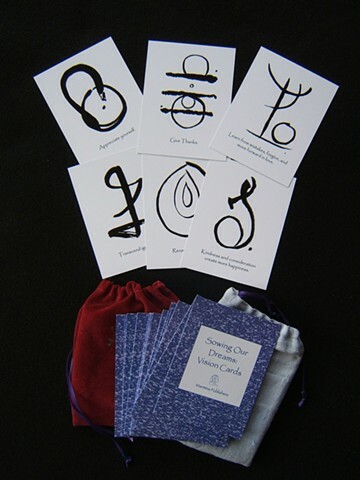 Cards include directions - all packaged in a hand-made bag. All made with love. Click on the $21 above to buy.